Vietnam is a land having over thousands of years of culture so many relics exist till now. Passing through each dynasty, feudal courts gradually recognized that education is the foundation of the national strength and development. Exploring all around the country, you can find it easy to catch in your eyes the relics of the national education in the past. 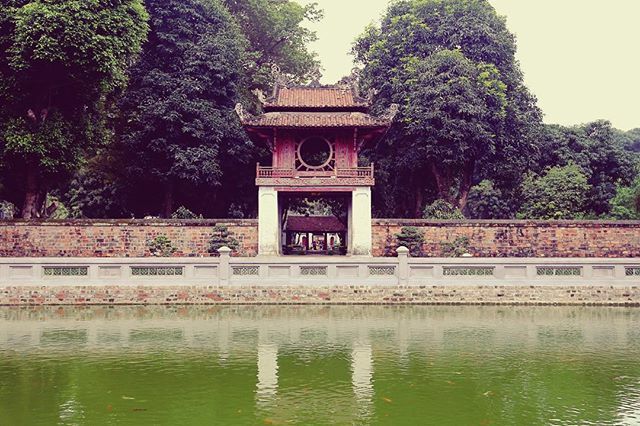 Among them, the immortal symbol of Vietnamese feudal education is the Temple of Literature. It also hosted Imperial Academy as the first feudal national university in Vietnam. 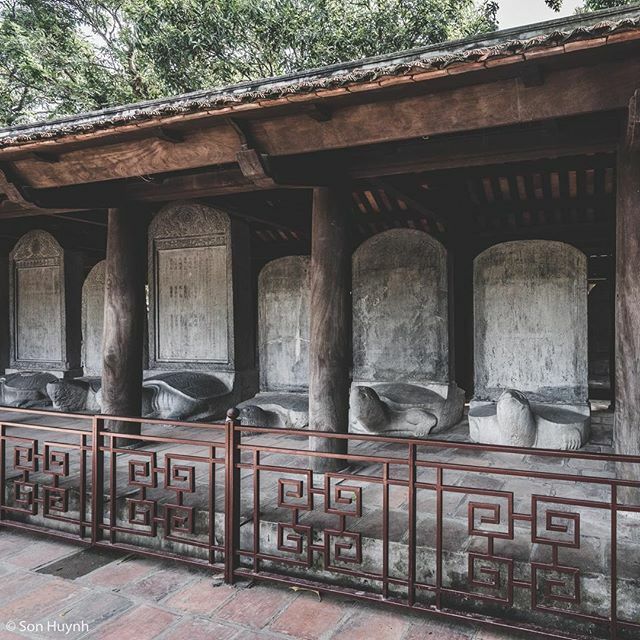 The Temple of Literature is the witness of history. 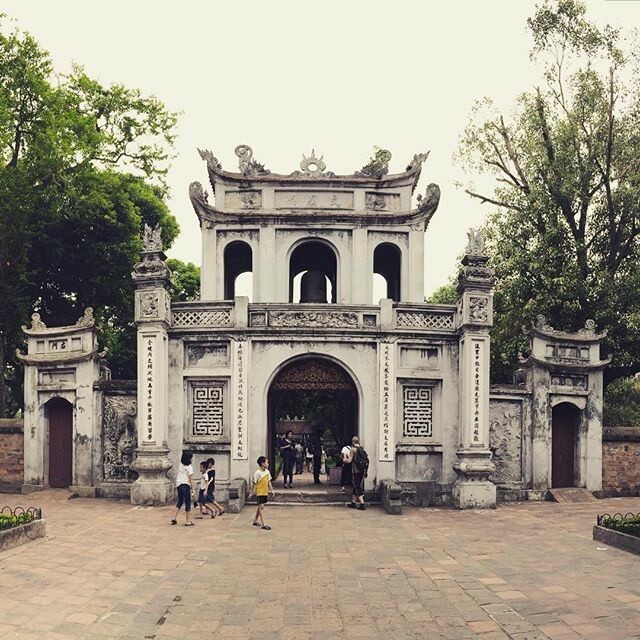 It was built in the eighth lunar month 1070 under Ly Thanh Tong’s dynasty. In Ly dynasty, Confucianism is the main philosophy in Vietnam. This Temple dedicated to Confucius – the father of Confucianism. Followed the establishment of The Temple of Literature, the King allowed building Imperial Academy six years later. This new construction was within The Temple of Literature’s area. At first, the Imperial Academy is the university just for the royal family and officials’ children. After that, in Tran dynasty, King Tran Thai Tong issued the new edicts about this place. It allowed every student who had passed the regional examination to stay and study here. The first courtyard is from the main gate to the Great Middle Gate. The second courtyard is from the Great Middle Gate to Constellation of Literature pavilion. The third courtyard’s main architecture is Thien Quang well. Both sides of the well standing the numbers of Stelaes of Doctors. The fourth courtyard is the center of the Temple of literature containing the main architecture. The outside hall is Bai Duong, the inside hall is Thuong Cung. The fifth courtyard included Khai Thanh Temple and Imperial Academy. Constellation of Literature Pavilion is the symbol of Vietnamese traditional fondness for learning. It located in the center of the whole complex. This pavilion was built in September 1805. This was a two-storey complex made of wood and stone. The floor was covered by Bat Trang brick. In the first storey, in 4 corners standing 4 pillars around an empty floor. The second storey was built completely from wood painted in red color. They used yin-yang tiles to cover the roof. On each side of this pavilion, there are a couple of distichs. The architectural style is distinctive Asia’s architectural style. Therefore, it also reflected the harmony of yin and yang components. The circle window of this pavilion is the symbol of the sun – yang while the Thien Quang Well is the symbol of land – yin. Constellation of Literature Pavilion was the place where the king and the officials gathered. They discussed and analyzed the essay of the students passing the national examination. Nowadays, people recognize Constellation of Literature Pavilion as the symbol of Hanoi – Vietnam’s capital. Thien Quang means the light from the sky. The meaning of this name contains the hope that people would receive the elite from the sky. The students would develop the knowledge, virtue and contribute to the humanities. Thien Quang Well is in the square shape, which represented to the land – yin component according to folk notions. However, the treasure stands out in this courtyard is the existence of 82 Stelae of Doctors. People erected these steles in order to encourage study and honor the talented. The steles were put on the blue stone turtle. They would carve the names of the Doctors on the steles. The turtles are the sacred animals in Vietnamese culture. These steles are the evidence of Vietnamese eagerness of studying. As same as this precious tradition, Vietnamese people treasure these steles till now. The images of the steles are everlasting with the ups and downs of the history. Attained Talent gate opened to the main halls where dedicated Confucius and his talent disciples. This place is also where the students studied and listened to their teachers. Because this is the place that the students put all their dream and hope, the name Attained Talent fully described their ambition. The House of Ceremonies is in the center of this courtyard. 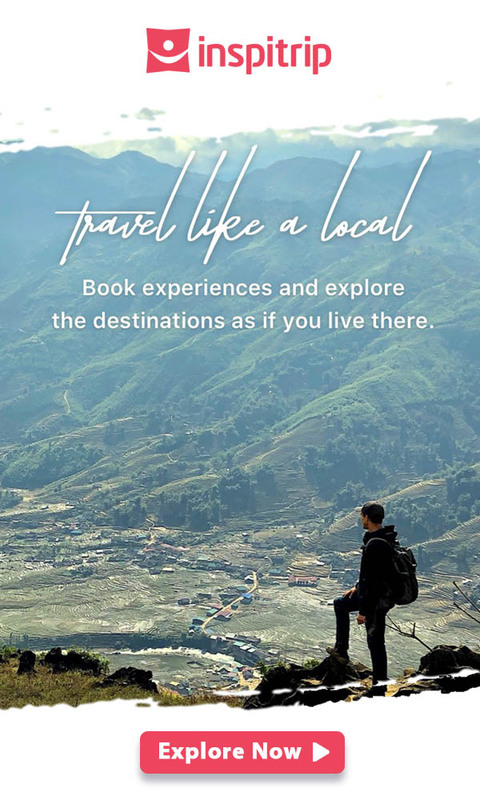 Beside it is Thuong Dien. This is the place that they worship Confucius and his closest students include Yanhui, Zengshen, Zisi, and Mencius. Khai Thanh Temple and Imperial Academy are in the last courtyard in the Temple of literature. The Imperial Academy at first was the academy for the princes and literate mandarins. After that, this place developed in Tran dynasty due to the caring of the kings for education. This development included the establishment of Minh Luan house, more classrooms, and dormitories for students. 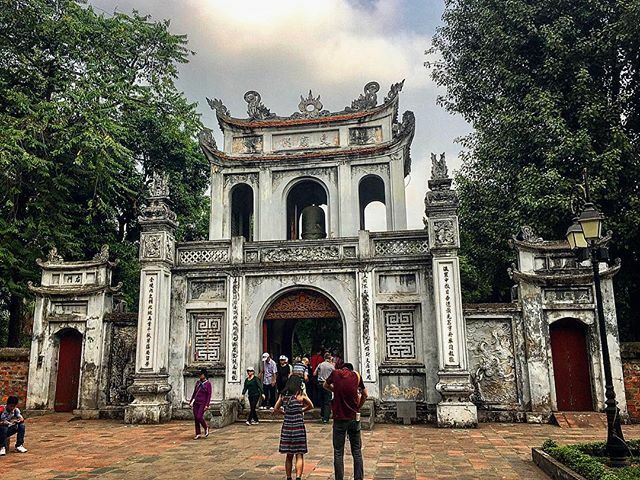 In the other side, Khai Thanh Temple is the temple built for dedicate Confucius’s parents.This architecture emphasized that the children not just had to try their best to succeed in learning but they also had to respect their parents as well. 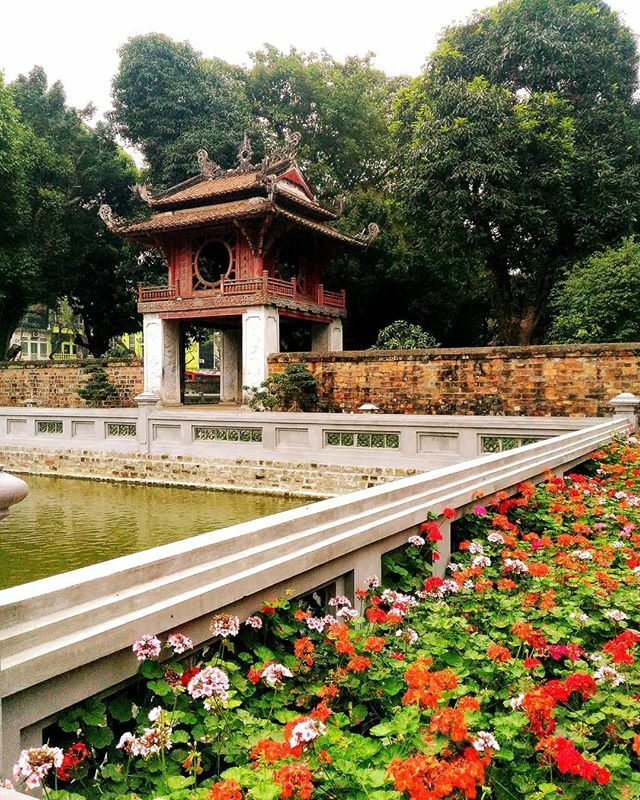 The Temple of Literature is just 15 minutes far from Hoan Kiem lake. It is between Ton Duc Thang street and Van Mieu street. From there, you can go to Ba Dinh Square and Presidential Palace easily. Temple of literature is the sacred symbol of Vietnam so you should follow the rule when you enter this heritage. If you need a specific guide to have a perfect tour in Temple of Literature, you can come to us and enjoy our tour Hanoi City Tour. Absolutely you can not explore everything in a heritage just by looking. You will need a tour guide to introduce you to our pride – the Temple of literature.